Although K8 are well known for their casino services, they also offer a sportsbook for their customers. The UK version of the website is operated by Gamma Growth Inc and they are fully licensed by the UK Gambling Commission. At K8 Sports, the users can find over 25 sports to bet on, while football betting covers games from over 45 countries around the world. The Horse Racing section has a lot of betting markets, but the bad news is that there are just meetings from UK at the moment in time. K8 Sports are usually offering competitive odds, which means that their clients are able to find good value in certain selections. In order to receive the benefit of this offer, you need to register an account with K8, deposit £10 or more to get credited with 50% match up to £50 in bonus cash. Bonus funds can be used on any sport with min odds of 2.00. 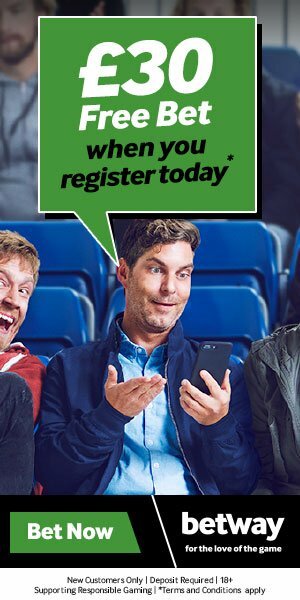 You must be aged over 18 to open a K8 betting account. Free Bet promotion open to UK & Ireland residents only. T&C’s apply.